From the phone in your hand to the car that you drive, almost everything you use has been created with a “design thinking” approach. The user-centred approach incorporates the user’s needs, experiences, ideas and challenges into the design process before building a product or solution. But design thinking is no longer limited to the innovation and design sector – it offers a fun and engaging learning experience, too. IB students around the world are becoming real scientists and inventors and using design thinking to address real world issues. Design thinking is a dynamic, creative and collaborative approach to problem solving. Students find and sort through information, collaborate with others and create solutions to problems based on authentic experience and feedback. Schools can also use it to redesign student spaces and school systems for better learning experiences. It’s a great way for educators to introduce new technology into the classroom. 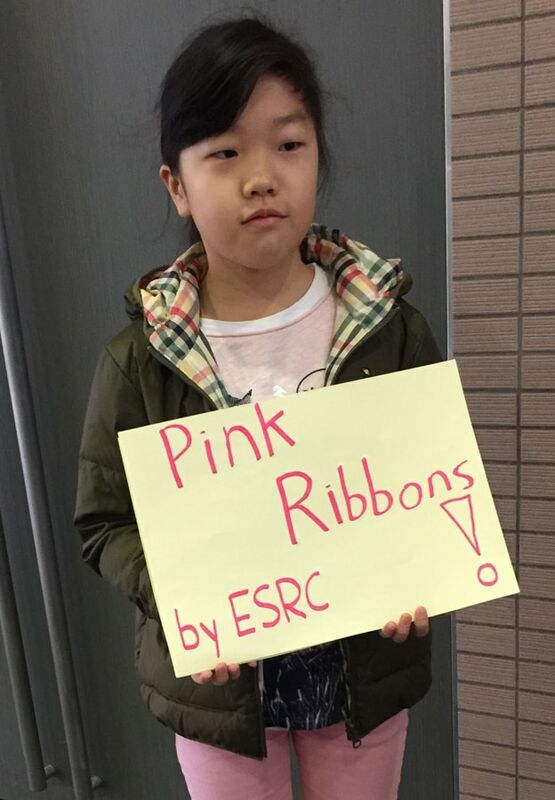 The approach nurtures creative and design thinking, as well as communication skills and teamwork, and can promote a lifelong love of science, technology and mathematics – which could encourage more girls to study STEM-related subjects at university and enter the career field. I’m also the facilitator of the Elementary Student Representative Council (ESRC) at KIST. Each quarter, students are guided through a service project that they design by following a six-stage process based on design thinking models. These are: communicate with peers, seek and identify service goal, make an action plan, assign duties, implement plan, and reflect on outcomes. 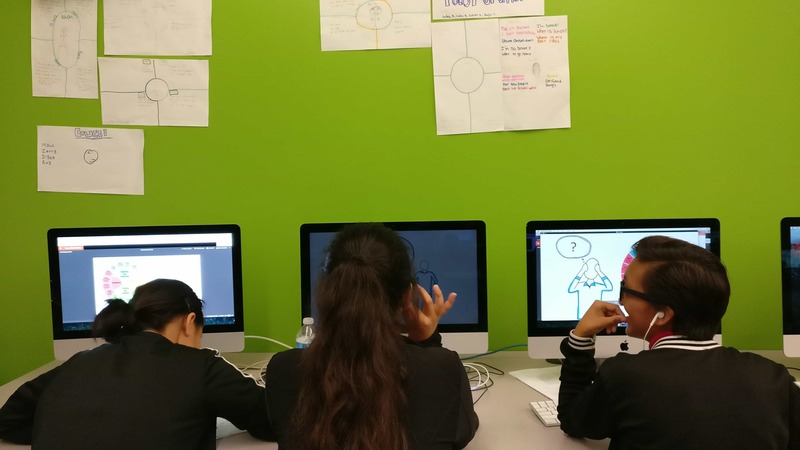 By designing their own service projects, students have learned: responsibility, by taking ownership of their service; empathy by interviewing and surveying their peers; and confidence to take action. They have grown as communicators through interactions within their learning community. Participating in a project organized by someone else is rewarding, but using a design process to create their own projects has clearly been more inspiring. In the next school year, I plan to utilize design thinking to empower students to plan and complete their Unit of Inquiry Summative Assessment Tasks. Design thinking could provide a framework that supports learners in applying the knowledge and skills they have gained to take authentic and meaningful action. 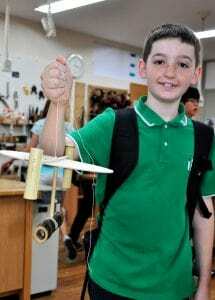 When Amanda and I both worked at Branksome Hall Asia, we wanted to put the exploration of simple machines and their associated concepts at the heart of our inquiry process in our PYP classroom. The central idea for the unit was “People use their understanding of machines to make work easier,” and it was presented under the transdisciplinary theme of ‘how the world works’. 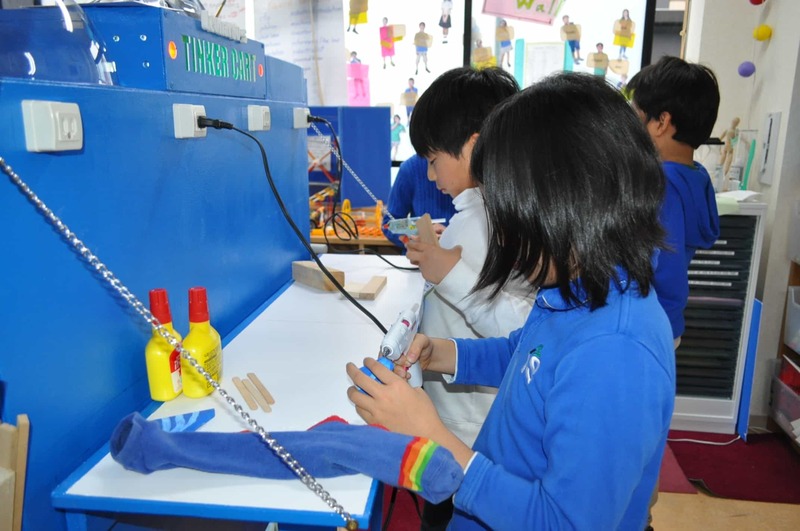 During this unit of inquiry, one of the self-directed projects was to build a machine that would motivate students to read. Students decided to build a simple ‘marble run’. Every student that could read a book would go to the librarian and give a short summary, or answer some comprehension questions about the book. If the librarian decided that the book had indeed been read, she would hand a marble over to the student, and record the book on a bar graph behind the main desk. The student would release their marble from the top of the marble run. The graph counted the number of books read, and the marble data would show who had read the most books. Over the course of six weeks, we witnessed a change in our students, a growth in confidence. We saw first-hand how iteration can lead to exploration. Design thinking encouraged creativity through risk-taking and students became better communicators and developed problem-solving skills. Play had a large role in this project. The encouragement in playing with the different parts led to new discoveries. Students also learned new vocabulary as the design of the machine evolved. By putting iteration at the heart of our inquiry process we were able to create a journey of discovery for our students. Every day, students were exploring and developing their understanding of the key concepts. Every improvement and change prompted reflection. Why did this work, in comparison to what we did before? Why did it fail? Tod Baker, IB Career-Related Programme (CP) Coordinator and Design Teacher at Sci-Tech Preparatory in Austin, Texas, US. There are two recent problems my Middle Years Programme (MYP) students have been challenged to solve: How to explain to MYP students how to use the MYP Design Cycle to develop solutions to problems; and how to build a personal online portfolio that creates relevant and meaningful connections with people who share similar interests. 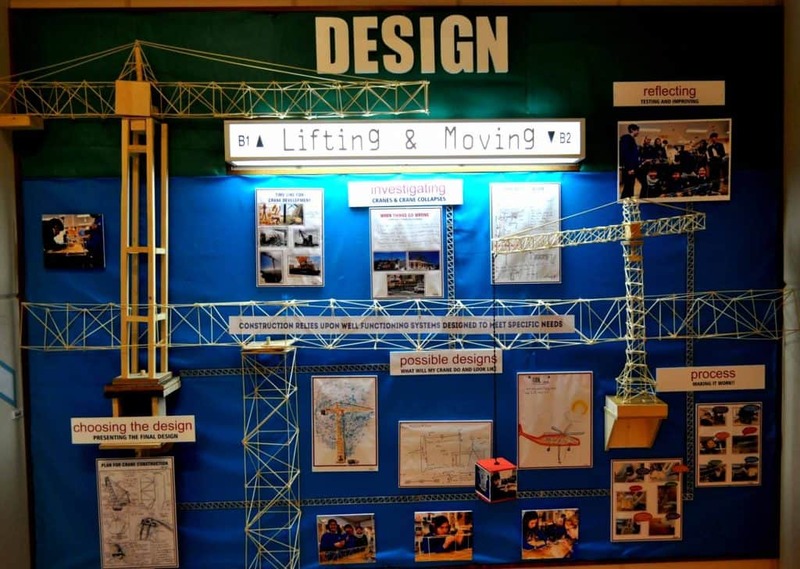 The design cycle is complex, and students need to gain a solid understanding of it quickly. So, I am challenging our MYP students to create videos that explain the process. At the end of the term, we’ll have a collection of 16-20 student-made videos. Focusing on the ‘why’ and ‘what’ before we tackle the ‘how, makes learning come alive. ‘Why’ and ‘what’ trigger emotional responses that make students aware and care. The global context, statement of inquiry, and inquiry questions help awaken students’ emotional connections and stimulate purpose-driven learning experiences. With each challenge they face, students discover they can solve problems and improve lives. They have learned to collaborate, think creatively, and iterate. But most importantly, they have learned to define why they are doing something, understand what they are doing, and how to strategically get things done. We have built our MYP design programme around the following tenets. Firstly, we acknowledge that new objects and machines are created through a process. A clear understanding of the need is central, and concludes with the fully considered product that meets the intention. Whether students have ultimate success in creating the product they set out to is not as important as building an understanding of process. The process is based on real needs and contexts. We cover coding, robotics, model-making and innovation. The innovation programme culminates in students producing a product that addresses a social need. They pitch their invention to a panel of real designers, entrepreneurs and an investor or banker. In the first year, three of the products were offered funding to take them to production. Not bad for 13-year-old students. We first identify our community’s needs and communicate them clearly to our staff creating particular products and services. A great way to do that is to make some personas based on the insight of people who work with our community directly and experience/solve their needs every day. It’s really important to know your audience and their needs so that you can build the right thing for the right people. Otherwise there’s a good chance you can build the wrong thing. The IB Answers service desk is a great example. We worked with IB Answers staff to produce a picture of the kind of people they help everyday. We organized the most important needs into each user type. Now, IB Answers staff refer back to user types with each query. This helps them anticipate user needs. We plan to apply the same approach to any new digital service or product we develop. I’ve been thinking about the top ways schools can use design thinking in their classrooms and had a few discussions with curriculum designers at the IB. One idea we had that has caused some excitement here is to “reverse engineer” personas from historical artefacts. For example, if you consider the Bayeux Tapestry with a history class, could you create a picture of some of the types of people that made it? That could help you think about why they made it and what they needed to communicate when doing so. Personas can be used to design lesson plans or design services for students. There are real life examples of where this technique has been used to design library services, for example. If you enjoyed this article, you may like to read ‘Design Thinking in Education‘.